There’s a lot to remember when you’re trying to optimise your site for SEO. That means that some people leave various aspects by the wayside. Backlinks don’t sound that important. After all, they’re on other people’s sites, not your own. However, you’d be amazed at what a difference they can make to your SEO. Here’s why you should be looking to attract the best backlinks through creating awesome pieces of content. By doing this you can ensure that other sites are noticing you. 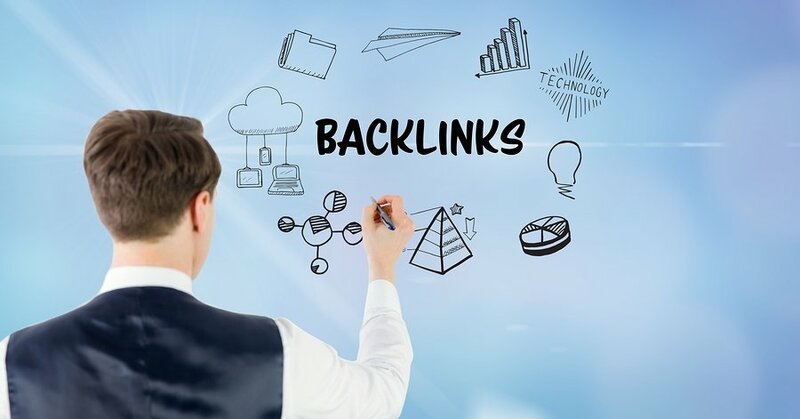 Backlinks are an important part of SEO. A backlink is a link to your site that’s featured on another site online. They can show up in a variety of ways. The site may mention you in passing as an expert on a particular subject. They may use a link if you’re collaborating with them and they mention your name in their content. They may even list you with other resources, if they think their readers would be interested in what you have to say. These links are important, as search engine crawlers pay attention to them. There’s an algorithm that they work to, which helps them decide if your site is something worth linking to. If another quality site is linking to you, that’s a point in your favour. If many sites are linking to you, then you can see the benefit in doing so. Interestingly, these links are still useful even if they’re subsequently taken down or erased. When this happens, they’re considered to be ‘link echoes’ or ‘link ghosts’. Search engines can see that the link used to be there, and so still give you the benefit of having had that link in the first place. So, you do want to attract as many backlinks as you can. “The more you have, the more they’ll work in your favour. The key is to attract them naturally, though. If you ask a lot of sites to link you, or get links from sites that have no relevance to you, then it won’t work. Instead, you’ll have to create content that shows you’re a quality site, and that you’re worth linking to.” – says Donald Singer, a Marketing Manager and a Huffingtonpost contributor. You’ll be updating you site regularly of course, to ensure that you keep new readers coming in regularly. 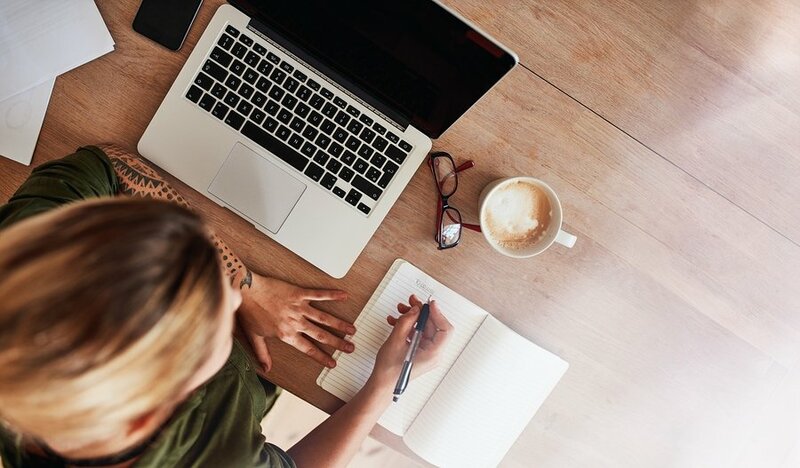 These five types of content will ensure that you’re putting out the best quality, and so make sure you are worth linking to. Infographics are a very creative way to showcase your information. Infographics have become very popular as a style of content creation, and now it feels as though everyone is using them. This means that they can lose some of their clout as they’re so common, but they’re still a brilliant way to bring those backlinks in. The way to do this is to ensure that you’re using original, highly researched information. You’ll see at the bottom of many infographics that they list all of their sources in creating the image. Use a tool like Cite It In to ensure that you’re citing these sources correctly. As well as this, you’ll need information that flows well. Write a list of facts that all focus on one topic. For example, if you work in social media, focus on one platform here. Each point should be short and sweet, and get information across in as few words as possible. A tool like Easy Word Count will help you keep those points sharp and concise. Finally, it needs to be well designed. There are free tools you can use, but it’s often worth hiring a good designer to handle it for you. That makes your infographic attractive and informative, meaning it’s more likely to make the rounds online. This is a risky strategy, but when handled well it can gain you a lot of attention. This requires you to be up to date with what’s happening in your industry, and in the wider world online. The best way to write content like this is to pick a side and argue for it eloquently. Back up any points you make with hard evidence, to show that you’ve researched the issue before writing about it. If you’re not sure whether to touch a topic, try doing some research first. Tools like SEMRush and Ahrefs can show you two things: firstly, they’ll show if other, similar sites are posting about topics like these, and secondly, they’ll show you if your audience has an interest in it. That way, you can get a good idea of whether you want to try this tactic yourself. Be aware though, that this could backfire on you if you if mistakes are made. You do need to be rather confident that your content will go down well with your audience before you post it. Think about the type of information that your audience needs. White papers are the cornerstone of any site, and you need to have some excellent papers up and ready on your site in order to draw in those readers. The better your white papers are, the more likely you are to get those all important backlinks. A good white paper is a piece of content that satisfies a pressing need that your audience base has. It’s not designed to be overly promotional, instead it should be purely informational. It’s the best piece of content to bring a first time reader in, as they’re not being sold to, but they can use the white paper as a launching pad to check out the rest of your site. When writing white papers, you’ll need to first identify what needs your audience has. Then, you’ll need to put together the information you’ll need to give them. It needs to be well researched, and give the reader a clear solution to the problem at hand. You can even include visual aids, such as graphs and charts, to help illustrate your point. If you feel as though you can’t handle this yourself, then the best thing to do is hire in a copywriter who can handle it for you. Sites like Essayroo and AcademAdvisor are good places to start looking, as they’re full of good writers and advice for writing perfect content. Use their experience to get the most out of your white papers. Content that covers cutting edge news is great for bringing new readers in, as it can help you get a lot of attention when the news is relevant to you. However, that content eventually will become outdated, no matter how well it’s written. That’s why you really need some good, evergreen content. Content like this will hold up for years to come, and won’t make your site look out of date or not up with the times. You can start working on content like this right now, if you start creating definitive how to guides. It’s time to put your expertise to good use, and write guides that your readers will always need. They’re very similar to white papers in some ways, in that they need to be full of well researched information, and that they should be able to guide your readers through a certain process well. To ensure that these pieces of content stand the test of time, the best thing to do is thorough proofread and edit them before they go live. A service like Big Assignments or State Of Writing can help you do this. The more polished that guide is, the better it will hold up over time. Listicles are short and sweet, giving readers exactly what they want. ‘Listicles’ are becoming incredibly popular with readers, and it’s not hard to see why. These articles, which offer a list of information for the reader, are easy to read and digest. They can be used for all kinds of topics too, which makes them easy to drop into your content cycle. The best way to use a listicle is to use it when you’re looking to cover a popular topic, on which a lot can be said. For example, if you’re running a craft site and it’s the lead up to Christmas, a list of gift ideas for your significant other can be a really big draw to your site. When writing these articles, think about what’s going to draw readers in. A listicle shouldn’t take long to read, and should give as much information as possible in short, concise bullet points. Images are crucial too, as they illustrate the points you’re making. For example, Buzzfeed use a lot of GIFs in their listicles. These add energy to your content, and so it’s well worth considering using them. Just because these articles are short on words, doesn’t mean they can’t be high quality. Make sure you’re proofreading them and even bring in qualified copywriters if you want help with putting them together. Create Infographics: “Sites are always looking for visual aids for their content. If you’re good at creating them, offer to create infographics to sites in need. Of course, these will always contain a link to your site at the bottom, creating a backlink” – explains Ashley Teal, a SEO Manager at Assignment Help. Write Guest Posts: In the same way as creating infographics, you can also write specialist content for other sites. There are always sites looking for guest writers, so take a look around and see what you can offer. You’ll be surprised by how many sites are looking for guest writers. Again, your content will come with a link to your site and your work, spreading awareness of what you do. 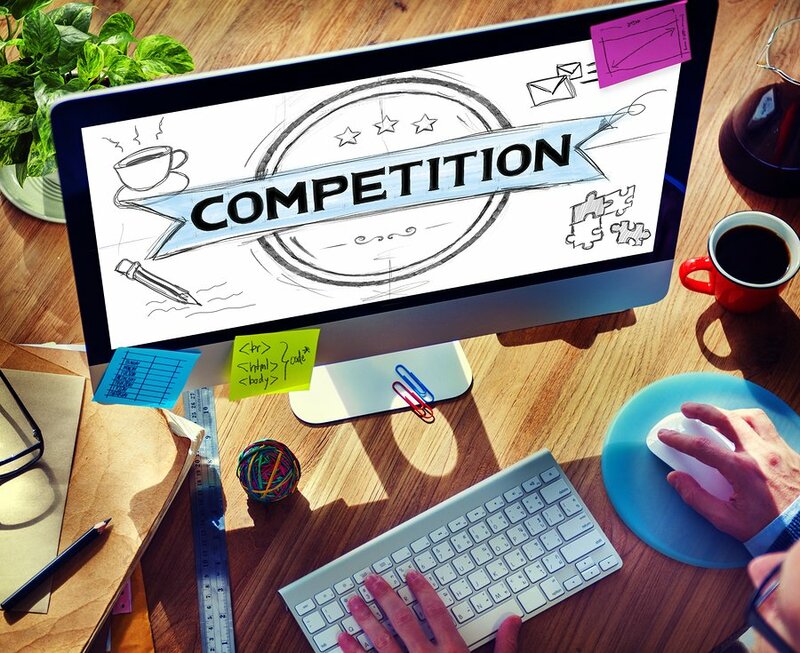 Look at What The Competition Is Doing: There’s lots of sites out there in your field, and some of them are going to be highly successful. What are they doing? You can actually use online tools to investigate their SEO techniques. Take a look at their backlink strategy, and put it to use yourself. It is important to always check in and see what your competition is doing. Promote Your Content: If no one knows who you are, then they aren’t going to link to you. You’ll need to do some research, find your audience, and reach out to them. Social media is a good place for this, as news can travel fast. The more you’re getting out there, the more likely you are to get links. Reach Out To Bloggers And Journalists: This is a very straightforward strategy, but you need to be careful with how you use it. If there are bloggers out there that cover what you do online, you can simply get in touch and ask if they’ll link to your site. If you’ve done your homework, then they’ll see that you’re a relevant site to their readers and give you that link. Create a Site for Readers, Not Google: One of the most important things you should do is create a site that’s for your readers, before considering how to optimise it. Remember, you can get the readers on your site, but what’s making them stick around? The better the quality of your content, the more likely you are to get backlinks. Use Good Design: The way your site looks matters more than you’d think. Readers have an idea of what a professional site looks like. If yours doesn’t look professional, then you will need to look into giving it an overhaul. It’s even worth bringing in graphic designers to help you. The better your site looks, the more readers you’ll bring in. As you can see, there’s a lot of ways you can start bringing those backlinks in. They’re more important than they seem, so this is one part of the SEO puzzle that you need to be paying attention to. Getting those reputable sites to link back to you will take some work, but once you’ve managed it you’ll see the difference in your traffic. Start creating content that attracts backlinks, and you’ll be well on your way. Follow the tips in this piece and you’ll be a backlink master. What do you think about these tips to creating content worthy of backlinks? Let us know in the comments below! We would love to hear what you have to say. Content is King in SEO, Why?